After reading stories like this http://www.autoblog.com/2015/06/03/motorcyclist-hit-road-rage-cell-phone-video/ and this http://www.kusi.com/story/29217052/woman-in-chula-vista-road-rage-case-to-be-arraigned, I think we as drivers need to have a serious discussion about road rage. Road rage is a problem, folks. 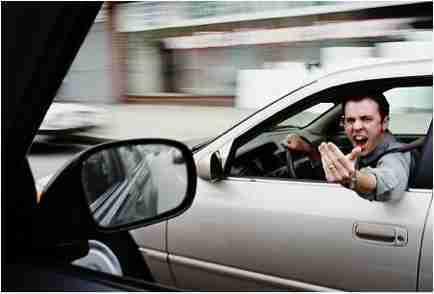 Type “road rage incidents 2014” into Google and in .34 seconds you will get 356,000 results. No joke. There is no excuse for using a two ton vehicle (or heavier) as a deadly weapon. None. Oh, I’m sorry did you get your feelings hurt because someone told you not to drive distracted? Oh, the other person started it by cutting you off, or failing to use a blinker, or was driving too slowly or too fast or whatever else so you chased another human being down and caused them harm or murdered them with your vehicle? In one example, someone choked another person to death. Choked! Other instances involved firearms or some knives. Banning one type of weapon or tool is clearly not the answer. Nor are the objects being used as weapons the problem. We are. Is it possible that we are getting more irrational—read ignorant and stupid—as we age as a species? What possesses a person to do this to another person on camera, in full view of witnesses and then think it’s okay, or claim that the murderer or assailant is the real victim? And another thing, instead of using your phone to record it, maybe try calling 911. How about that? I am so disgusted with road rage that I would almost welcome autonomous driving cars. Then who would road ragers blame? Look folks, here is the deal. We all live, work and drive together. If you are stressed out, maybe you need to stay off the road. Take a bus, or the metro, or a bike. Take a walk if need be. But don’t get in the car. Please. Get help. Google stress reduction tips and start practicing them. Some of us need to stop driving like jerks. Roads are public community resources; don’t be the one to drive like it’s just yours. We all know what I mean by that too. Changing lanes, speeding up, slowing down. We’ve all been behind that driver who thinks this is his or her road. The sense of entitlement we have is killing us. And perhaps one of the most important things we can do to prevent road rage is to let it go. Let it go. It isn’t worth it, whatever the “it” is. Don’t wreck your life or the lives of others over a blinker or a honk or something so inconsequential. It’s time we start behaving like human beings and not like animals. Sometimes, it does a driver good to see and hear some speed.